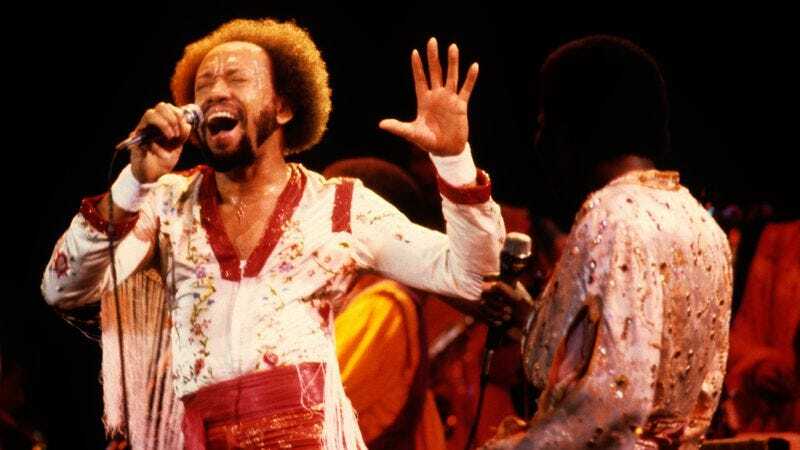 Maurice White, founder and principal songwriter of legendary funk-soul outfit Earth, Wind & Fire, has died. White’s health had reportedly been declining over the past few months, the result of a decades-long battle with Parkinson’s disease that forced him to stop touring in the mid-’90s. His brother and bandmate Verdine White confirmed White’s death to The Associated Press earlier today, saying he died in his sleep at home in Los Angeles. He was 74. Born in Memphis in 1941, White worked as a session musician before forming his own band, Salty Peppers, in Chicago in the late ’60s. Although the band was moderately successful, White eventually moved to Los Angeles, convincing Verdine to move out West with him. There, Maurice White reformed the band under the name Earth, Wind & Fire, named after the elements in his astrological chart. Their first self-titled album and its followup, The Need Of Love—both released in 1971—sparked one Top 40 R&B hit but little else, so Earth, Wind & Fire broke up. The White brothers re-formed the band once more, though, and went on to great commercial success with upbeat, horn-heavy dance hits like “September,” “Shining Star,” and “Boogie Wonderland,” which Maurice White sang with vocalist Philip Bailey. Besides performing with Earth, Wind & Fire—who, over the course of their career, have sold more than 90 million albums and won six Grammys—White had a successful side career writing and producing songs for other artists, including co-writing The Emotions’ No. 1 hit “Best Of My Love” in 1977 and producing records for Barbara Streisand, Neil Diamond, and Cher, among many others. Earth, Wind & Fire is set to receive a lifetime achievement award at the Grammys on February 15.